Stolen on the morning of 21 June 2006 from Didsbury, Manchester, UK. 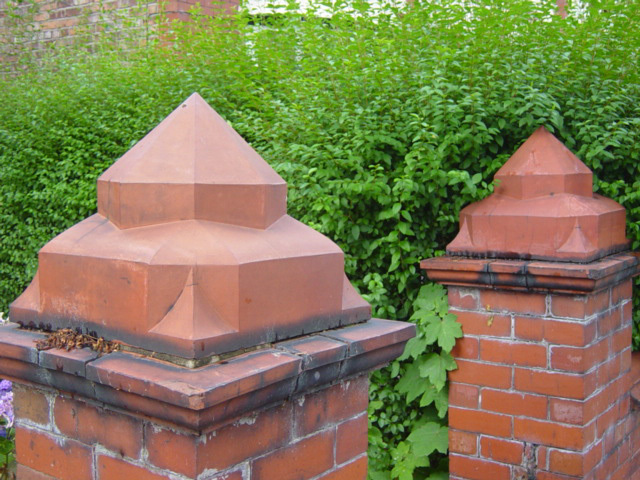 Pair of tiered gate post ends, terra cotta. Each measures roughly 16 in x 16 in x 16 in. The general number for the Greater Manchester Police is 0161 872 5050.